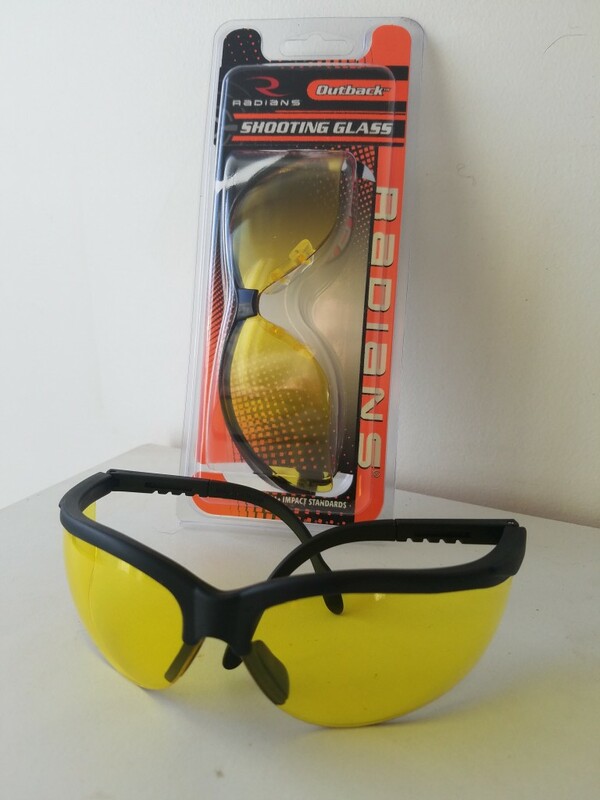 BUY SOME SHOOTING GOGGLES: We like to use yellow lense shooting glasses for low-light situations on the lake. We use our $300 polarized pair for the majority of the day, but during those last few hours when the magic happens on Pyramid it gets tough to see- we purchased this Radians pair for $7 at Sportsman’s. 2. 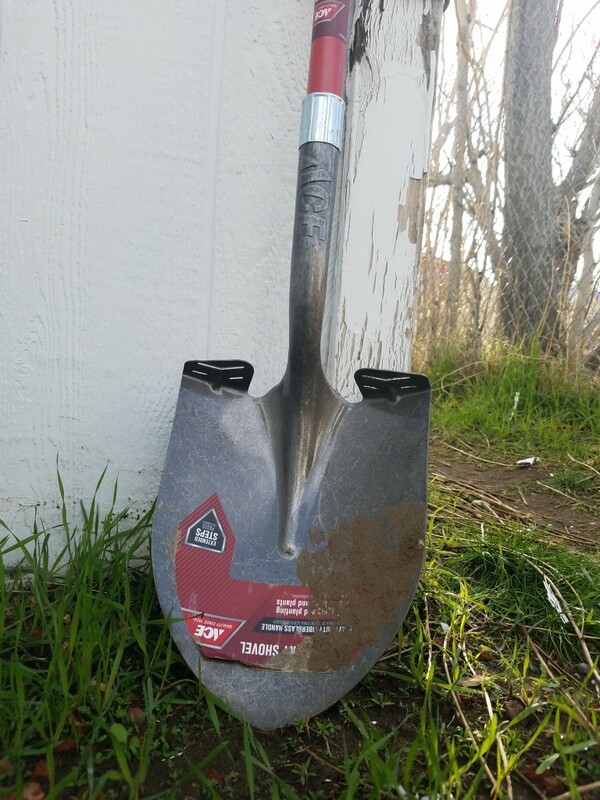 BE PREPARED IN YOUR AUTO: Always carry a shovel, jumper cables, and an extra change of dry clothing. You never know when weather will hit on this lake, and that sand can get soft. A tow from the local company is around $400 so make sure you are prepared. 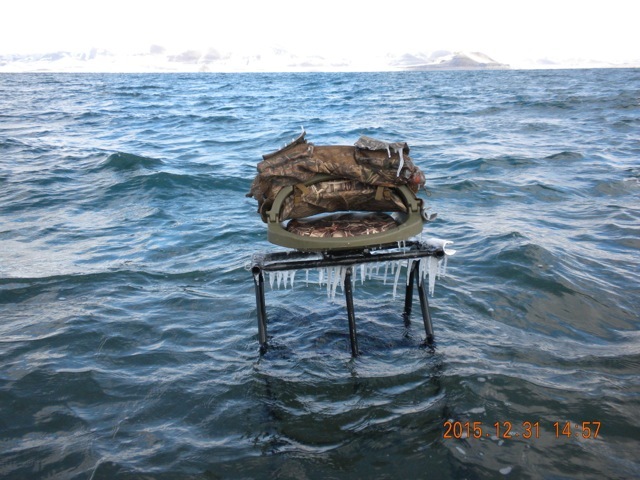 We like to carry extra fleece blankets and jackets to throw under the tires for traction when stuck in snow or sand. Fish with a buddy and extra vehicle whenever possible and always make sure both of your rigs start before leaving the beach. 3. USE SURGICAL GLOVES: Use nitrile or latex surgical or mechanic gloves while fishing this lake. The waterproof barrier is much needed and is less likely to harm the fishes outer slime than most winter gloves, and are thin enough that you can still feel your line with your fingers. You can layer with a liner underneath for warmth. We prefer the thicker, low-profile black color rather than the bright blue or purple as sometimes seen. 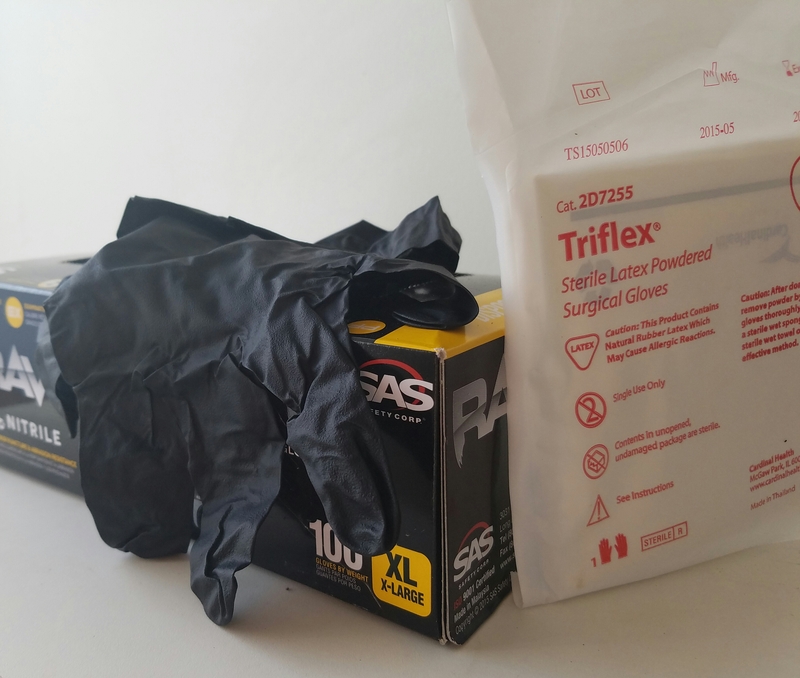 We got the box of Raven Nitrile XL gloves at O’Reilly Autoparts for about $20 for 100 pair. 4. USE MOTHER NATURE TO DETERMINE YOUR FISHING SPOT: The notoriously windy weather on Pyramid can be used to your advantage. If you’re new to the alkaline lake and are not sure which beach to fish, select one where the wind will be blowing towards you. The massive Lahontan Cutthroat head into the shorelines to feed on Tui Chub and other bait during bad storms. Rolling waves and wind in your face are great indications of prime fishing on this lake. 5. TAKE A STEP LADDER: The height of just a few steps will help keep you out of the cold splashing waves, and the elevation will assist you in seeing those monster fish, and give your cast a boost. 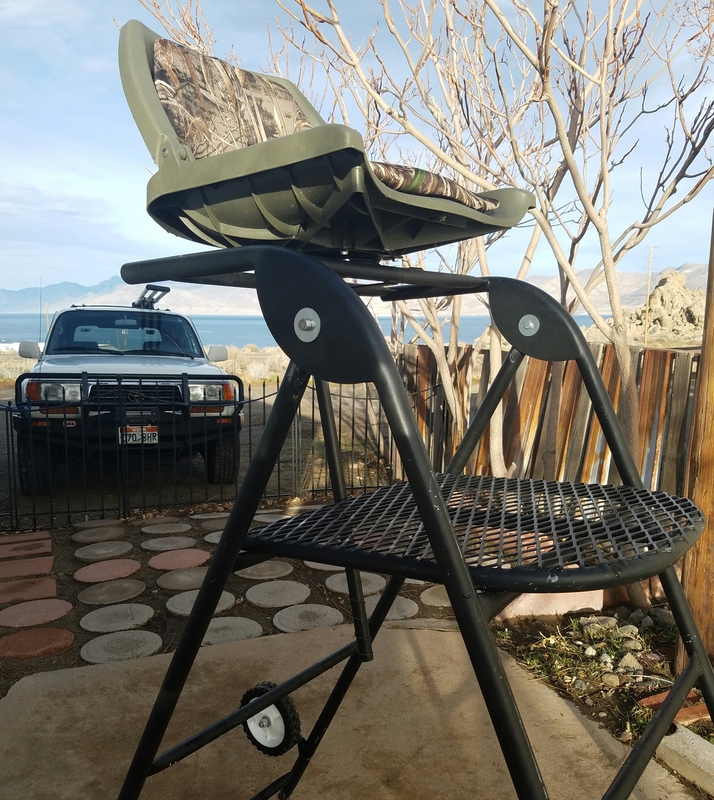 If you’re planning on spending quite a bit of time on this lake we suggest investing in a comfortable custom made ladder- they are easy to transport with the attached wheels and light-weight frame, and the padded seat provides all day comfort. 6. TAKE TWO RODS: Use one with sinking line for streamers, and an additional rod with a floating line for indicator fishing. We prefer Scientific Anglers lines. 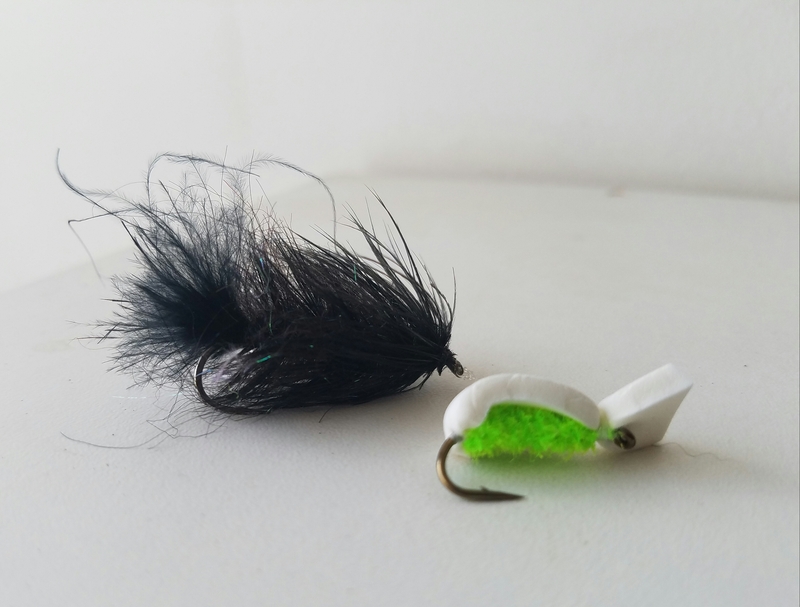 In addition to fly rods, we always carry a jig stick for spin fishing- we love Richard Cross’ Zig Jig, and Voodoo Custom Tackle’s heavy duty hooks. 7. TOP PYRAMID LAKE FLIES: When in doubt of which fly to select on Pyramid Lake a safe bet is a black Woolly Bugger and/or Doug Ouellette’s Original Popcorn Beetle on sinking lines. For floating lines and indicator fishing use a variety of midges, such as a Snowcone, and/or a balanced leech in black, white, or olive. And remember to CRIMP YOUR BARBS! (Please see Pyramid Lake Paiute Tribal Regulations before fishing the lake, as it is on a Native American Reservation and NV fishing laws do not apply). 8. USE NEOPRENE WADERS: Breathable waders are fine for calm, warmer days and spring fishing on Pyramid, but during those frigid winter months (Dec, Jan, Feb) you’re going to want to use thick neoprene waders in at least 5 mil thickness. 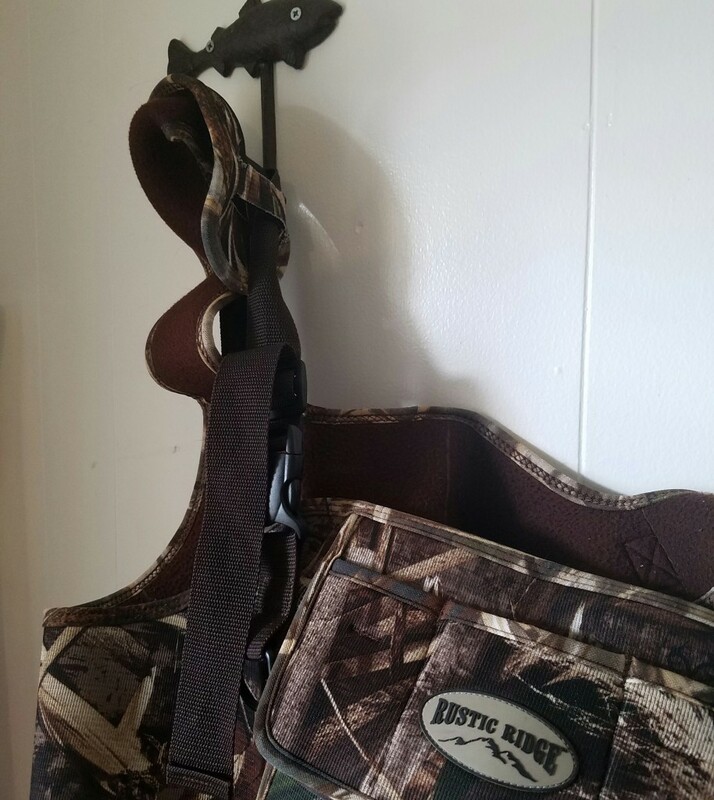 We like Rustic Ridge and Cabela’s brands for the cold fishing season in Nevada. They are both extremely warm and comfortable, and the attached boot makes it easy to slip them on and off. 9. 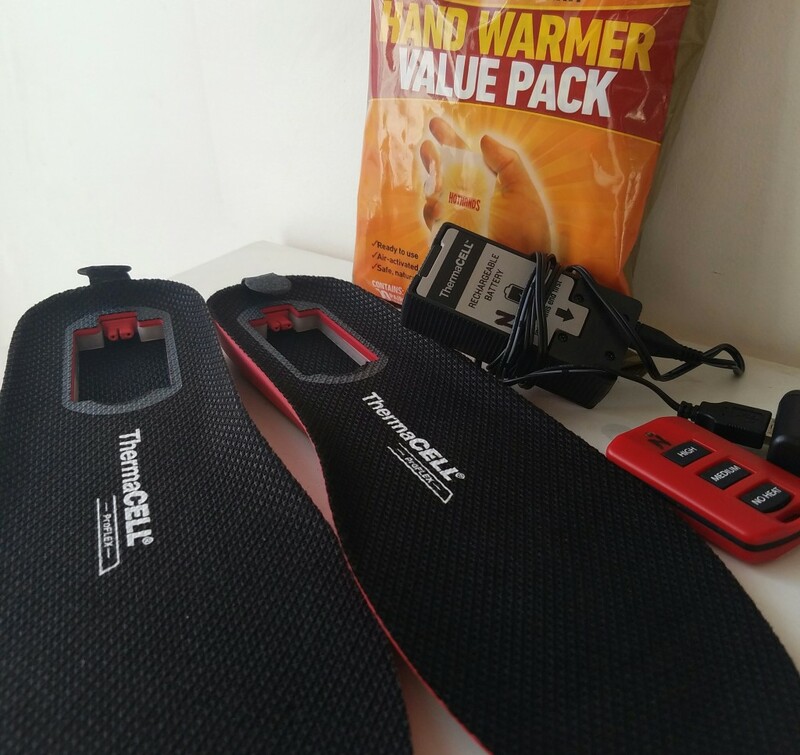 USE HEATED INSOLES: We always have a back-stock of handwarmers in our rigs for those cold winter days on Pyramid. Additionally we like to use battery powered insoles for our feet. We picked up this Therma-cell pair at Cabela’s bargain cave for half price, full retail is around $175. Those with poor circulation or on days when the temps are below freezing your toes will thank you. They are intended to keep your feet at room temperature (appx.) so don’t expect a super high heat, if your feet are not numb then they are working properly. 10. SLEEP IN: If you are like so many thirsty anglers coming to Pyramid Lake just a few times a year, you might gravitate towards local watering hole Crosby Lodge. The drinks are killer and local DJ Jack the Music Doctor keeps the tunes going all weekend long. Combined with the hospitality of owners Fred and Judy Crosby, local banter and swapping of fishing tales, impromptu dance parties, and ample flowing booze a hangover is more than likely and sometimes catching that 5am bite just doesn’t happen. But we suggest hitting the snooze button for a different reason- we like to call the afternoon bite the “Magic Hour”– if the weather isn’t ideal for fishing, or if life just flat-out has you busy the rest of the day head to the beach around 2:00 or 2:30pm until about 5:15pm. We have found that the afternoon tends to be the most productive hours in the day for fishing Pyramid. Good luck out there anglers! 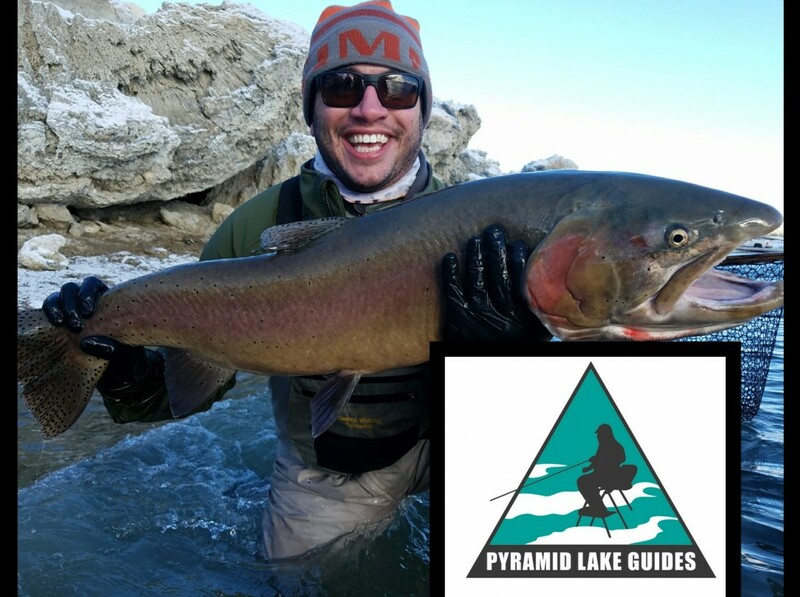 For even more inside intel on fishing Pyramid Lake consider hiring one of our knowledgable guides for a day trip or clinic with your buddies, and follow us on Instagram and Facebook for the most up to date fishing conditions.